This year, WWE 2K19 will be celebrating the 16-time WWE World Champion and Hall of Famer, Ric Flair, with the Wooooo! Edition of their popular video game. Fans will be able to take home one of a kind memorabilia in this special edition package, including a piece of the WrestleMania 24 robe “Nature Boy” wore. 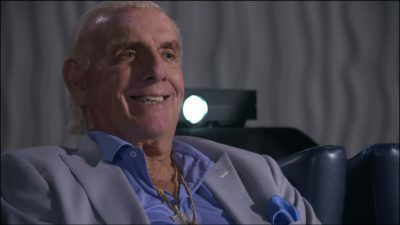 To promote the upcoming release, Charlotte Flair sat down with her father for a special episode of WWE Photoshoot to chat about how it felt to compete in a cage match, as a woman, on the same stage her father did years before. 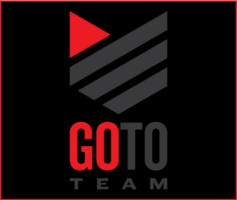 Go To Team’s Atlanta cameraman, Nate Silverman, was their to capture it all. One of the biggest challenges for this shoot was turning a plain banquet hall into a private theater, especially while having to control lighting. Nate used a Kino Diva 400W light as the key, just over the white seamless backdrop which was used for the projector. A neg-fill was to the right of the Kino to prevent as much spill on the wall as possible. Generay Lite-Panels were used as a subtle fill and edge to lighten the shadows. This particular set up provided enough level on the talent with enough shadow in the background to make the space feel believable. The piece was shot on the Sony F5, 2x Sony FS7’s and an A7s mkii, so our cameraman had to match them all to each other for editing purposes. It’s always a fun time to shoot with WWE, and it was great hearing from such legends as Ric and Charlotte Flair. We are definitely looking forward to getting our hands on a copy of WWE 2K19 Wooooo! Edition.